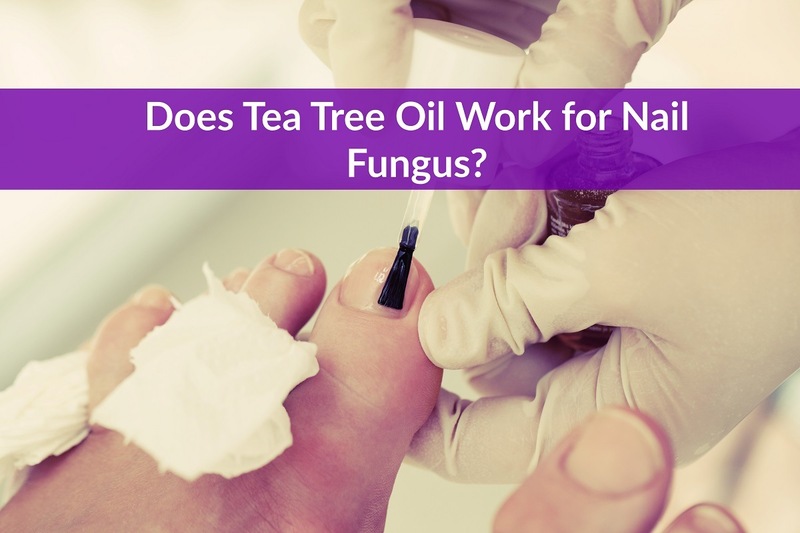 Home » Blog » Does Tea Tree Oil Work for Nail Fungus? Toenail fungus, also known by its scary-sounding medical term, onychomycosis, arises from the simplest of causes. There is a type of fungi, dermatophytes, that can invade the nail bed area under certain types of favorable conditions. But when you have toenail fungus, it doesn’t usually make you feel any better to know you are not alone. You still want to get rid of it – and as fast as possible! You may feel embarrassed about how your toenails look or smell, to the point where you don’t even want to seek out a doctor’s help. The good news is, there is a home remedy you can try that has been effective for many people in reducing or eliminating symptoms of toenail fungus. That remedy is tea tree oil. In this article, learn more about tea tree oil, what it is, how it works and how it can be effective for treating toenail or fingernail fungus. As the fungi proliferates, the nail bed develops yellow or white spots. In time, the nail bed will thicken and become darker in color. Sometimes a crust will form or the nail will begin to lift away from the bed beneath it. In more advanced cases, as the nail lifts away from the bed, you may perceive an odor which is caused by the multiplying fungi. For instance, if you do a lot of working out, especially swimming, or you work in damp conditions, or you have a pedicure or manicure in a less-sanitary salon, you can pick up the fungi that cause nail fungus. If you have any prior history of athlete’s foot, diabetes or a compromised immune system, you may become more prone to nail fungus in the future. While it is more common to experience fungus in the toenails than in the nails because of footwear (damp socks and shoes or continued immersion in water, for instance) and less robust natural circulation, both are equally vulnerable if conditions are right. Tea tree oil itself is a natural byproduct of the tree by the same name. (3) Tea tree is also called by its scientific name of melaleuca alternifolia. The tea tree plant has been known for its medicinal properties for more than a century to date. The Australian aboriginal peoples and healers have a long history of using tea tree oil for its healing benefits. For the past 70 years, medical studies have looked at the health benefits of tea tree oil from various angles. To date, tea tree oil is becoming ever more popular for use in personal care creams, lotions, face washes, shampoos, conditioners and even toothpaste. Tea tree oil can also be used on a stand-alone basis (so long as your skin isn’t sensitive), as a spray or mixed in with a carrier oil (such as fractionated coconut oil, neem oil, jojoba oil, olive oil, grapeseed oil, almond oil, shea butter and other carriers. Why Is Tea Tree Oil Good for Nail Fungus? Tea tree oil is particularly good for addressing the symptoms and underlying causes of nail fungus because of its unique naturally-occurring medicinal properties. » Balsamic (boosts immune system). While this may seem like a short list of properties, each cuts right to the heart of what is going on when a foreign body invades the human body. Whether the invader is microbial, bacterial, viral or fungal in nature, tea tree oil contains within itself the ability to neutralize the invader’s power. So, for instance, let’s say the onychomycosis fungi invades your toenail bed. Left undisturbed, the fungi will multiply and begin to cause all of the symptoms of toenail fungus (white or yellow spots, thickening, darkening/discoloration, raised nail, odor, et al). But when confronted with the anti-fungal properties of tea tree oil, the onychomycosis fungi will not be able to continue multiplying and causing symptoms. This is the power of tea tree oil in a nutshell. How to Use Tea Tree Oil to Treat Fungal Nail Infection? Tea tree oil is potent and powerful when used on a standalone basis. However, not everyone can tolerate direct contact with tea tree oil in its pure form without discomfort. If you have never used tea tree oil before, it is always best to start with it in a diluted form to see how your skin will respond. Tea tree oil can still exert all of its medicinal benefits when diluted, so there is no need to expose your skin to irritation or discomfort unnecessarily. However, if you have previously used pure tea tree oil applied directly to your skin without discomfort, then it is perfectly fine to use it this way to treat toenail or fingernail fungus. NOTE: Because you are dropping the tea tree oil onto the nail bed and not the skin around the nail, you can safely try this method even if you haven’t yet used undiluted pure tea tree oil before. 25 to 50 percent dilution. You can also dilute tea tree oil by up to 50 percent in a carrier oil applied twice daily to the affected area to clear up the symptoms of nail fungus. After just four weeks of application two times per day, the fungal infection was completely gone in more than 50 percent of the study participants. 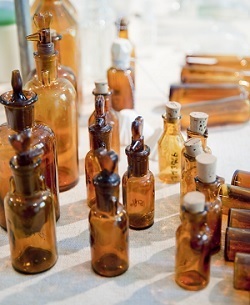 Certain other essential oils contain complementary properties to that of tea tree oil, while others have similar anti-fungal and anti-septic benefits that can enhance tea tree oil’s healing powers. Lavender oil, mustard oil, lemon oil, orange oil, grapeseed oil, oregano oil, garlic oil, peppermint oil and clove oil all make powerful additions to the power of tea tree oil to fight off fungal infections. Be sure to mix the ingredients well so the oil is diluted before you put your foot in. For the most comfort, you can warm the water/vinegar slightly before inserting your foot. However, dilution using carrier oils, plain water, rose water, apple cider vinegar, baking soda, alcohol, aloe vera, lemon juice and other essential oils can provide the dilution necessary to avoid these side effects while still resolving the fungal issue. It is important to be aware of tea tree oil’s side effects regardless, because you may need to adjust the percentages of other ingredients to ensure the most healing and yet least irritating effect from using tea tree oil. Also, if you are pregnant or trying to conceive, it is always a good idea to talk with your doctor before trying any new health regimen, including tea tree oil. Of course, while you are battling toenail fungus, your primary goal will be to get rid of the symptoms and the underlying fungus that is causing the symptoms. But once you have achieved that goal, you will want to move forward and take these steps to ensure you don’t inadvertently get reinfected with the fungi again! » Keep your toenails neatly trimmed and dry. » Use gloves when working with water or moisture (such as gardening or washing dishes) to keep nails dry. » Choose socks and shoes with natural ventilation. » Practice personal hygiene and do not share foot or hand lotions or other products. » Always wear shoes in damp public places. If you have been using tea tree oil for eight weeks or longer and still have not seen full resolution of your symptoms, it is best to consult a doctor. While you may feel understandably daunted by all of the information you have just read, the only thing you really need to remember is this: tea tree oil can be helpful to eliminate or reduce the symptoms of toenail or fingernail fungus. You don’t need to memorize all of the information or try all the remedies at once. Just pick one that stands out to you and give it a try, paying careful attention to the results. At the same time, carefully follow the recommendations here for preventing future cases of toenail fungus. And if you need to, do not be hesitant to seek out a doctor’s care to gain permanent relief from toenail or fingernail fungus. Doctors see this common problem frequently and will be able to help you resolve the issue. How To Manage Sugar Levels In Diabetics?